Upholstered sofas, arm-chairs and chairs are interior elements that never go out of fashion. But how to clean the upholstery to ensure the durability of color and texture? Let’s find out a few cleaning tips! 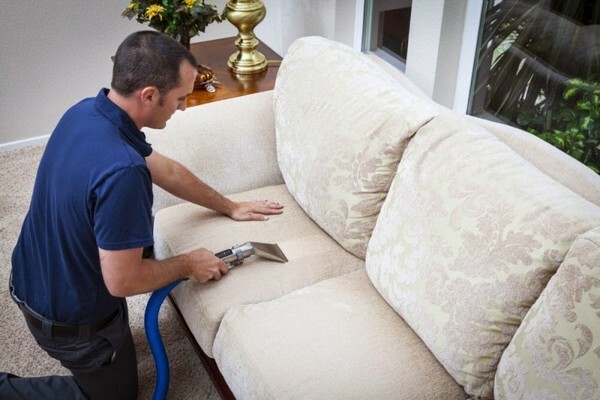 By regular cleaning of upholstery fabric with the help of special agents we can improve stain resistance of its finish. 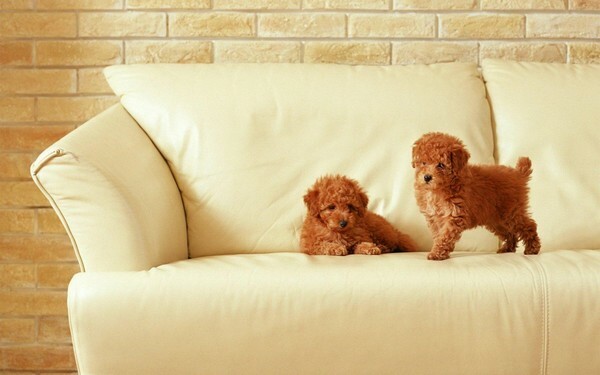 As a rule, the cleaning process is as follows: foam or scouring powder is distributed on the upholstery and left for a time interval indicated on the package (from a few minutes to several hours). Then the agent must be rinsed with a sponge, brush or a vacuum cleaner. However, these general rules cannot be applied to all types of fabric. 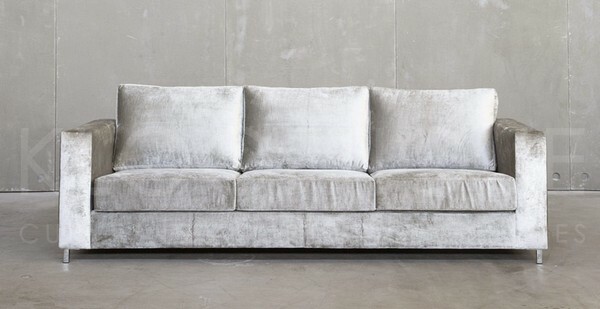 In particular, fuzzy upholstery, including velvet and velour, takes more time to recover its original appearance. Such types of textile can be cleaned with ammonia solution – 1 tablespoon to ½ liters of cold water. Remember that plush mustn’t be cleaned against the nap. After application of the cleaning agent, the fabric must be brushed (with a soft bristle brush), and with a hair dryer on the coolest setting. Before getting down to cleaning, test the agent on a hidden part of the furniture. 1. Don’t use too much water when cleaning the furniture. 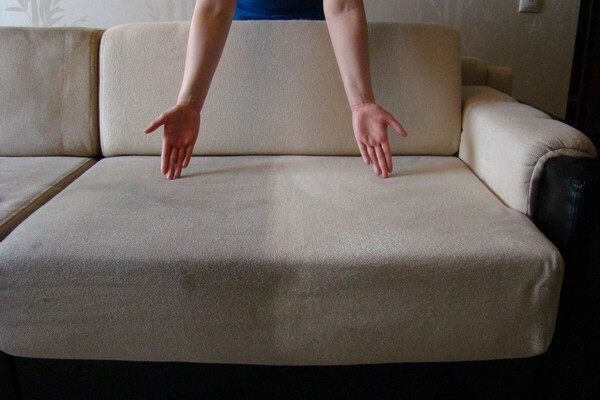 Too wet upholstery takes very long time to dry off, and this may result into mold growth in deeper layers of the fabric. 2. Don’t use powerful cleaning agents, such as laundry stain removers, bleaches or solvents, since doing so you risk replacing one stain with another one, that won’t be removed ever. 3. Red wine, coffee and ink stains can be removed with the help of a citrate solution. 4. If you accidentally drew something with a ballpoint pen, the stain can be cleaned with common glycerin. 5. Food stains can be removed from the furniture upholstery with a cloth or sponge dipped in a solution of delicate detergent.